Do you have a big job that needs to be done? We at All West Surface Prep provide top-notch, professional concrete prep services all over Colorado – from Denver, Boulder, Colorado Springs, Vail, Breckenridge, Cheyenne, and Laramie, Wyoming. 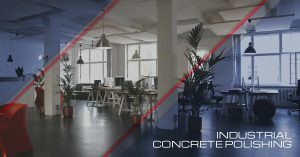 Our award winning concrete prep services have provided successfully polished floors in schools, hospitals, garages, retail stores and industrial facilities. Some of our previous projects have included the CSU dormitories, North Face clothing, and Wings Over the Rockies. 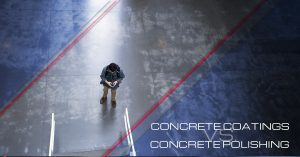 As all good professional concrete flooring companies know, a crucial step in the perfect installation of industrial flooring is to know the advantages of concrete coatings versus concrete polishing and correct procedure for the preparation of the surface. The longevity of the new floor depends on it. 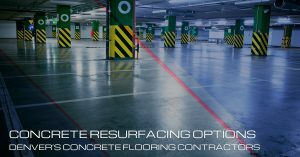 If you prepare the floor with the right amount tooth or profile, you can ensure that the surface is durable and strong, which allows your commercial space to excel both in function and appearance.